Pauline Bradley, from the EB of Emancipation & Liberation,sings her new song about Donald Trump at a Castlemilk Against Austerity protest. 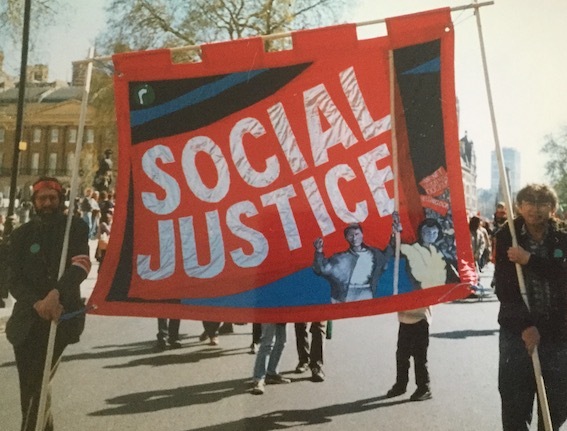 Pauline Bradley (RCN and RISE) outlines the emergence of the notion of Social Justice during the Liverpool Dockers campaign and how the Tories have attempted to hijack the term. No caring person can have failed to be shocked at the news of the collapse of the Rana Plaza garment factory on 24 April 2013. This eight-story commercial building collapsed in Savar, a sub-district in the Greater Dhaka Area, the capital of Bangladesh. It is considered the deadliest garment-factory accident in history, as well as the deadliest “accidental” structural failure in modern human history. I recall feeling anger and helplessness at the time. I tried to direct other’s anger on social media towards union campaigns such as IndustriAll, an international union who covered the disaster and were working to strengthen health and safety rights and hold the big brands to account for their negligence. A year and a half later I attended the annual Document 12 festival at the Centre for Contemporary Arts in Glasgow, where journalists, artists, and film makers with a human rights interest show their work. Here Carla Novi’s film “Rana Plaza” was screened followed by a Q & A with Carla. The film began with riots from two rival groups in Bangladesh but no women were visible “They are all at home or at work,” Carla was told. Carla made her way to Rana Plaza where she sympathetically interviewed 15 women garment workers including Dilori Begum. One worker sang a song about the hardships of working in the factory, a kind of Bangladeshi version of “The Factory Girl”. On June 28, 1914, Gavrilo Princip, A Serbian nationalist, assassinated Archduke Franz Ferdinand, the heir to the throne of the Austro-Hungarian empire. 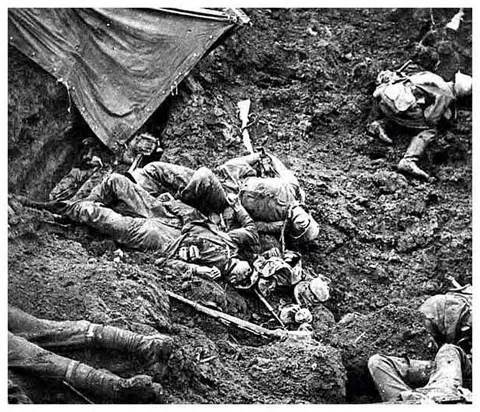 This incident sparked World War I, that soon engulfed much of the world and led to the deaths of millions of soldiers, and millions of civilians.